Back to Preschool is just around the corner for Emilia and *any* excuse to go shopping is a good one in my book. I just packed up Isla's newborn to 3 month sizes in order to make room for all the 18 month-2T stuff that no longer fits Emi. And honestly, Emi has plenty of clothes that still fit! 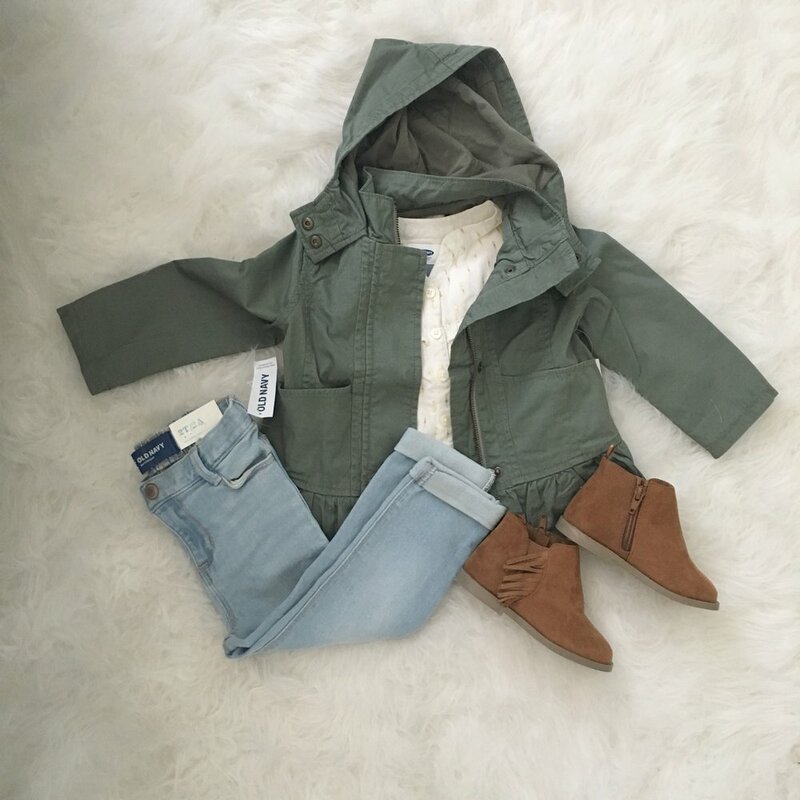 But, Old Navy is always a good go-to to grab the latest trends at a low price. And that's exactly what we did! I really don't grab a lot of "basics" at Old Navy because they can end up being a little campy, but they always have on trend options that I'm ok with sending to preschool to possibly come back ruined! 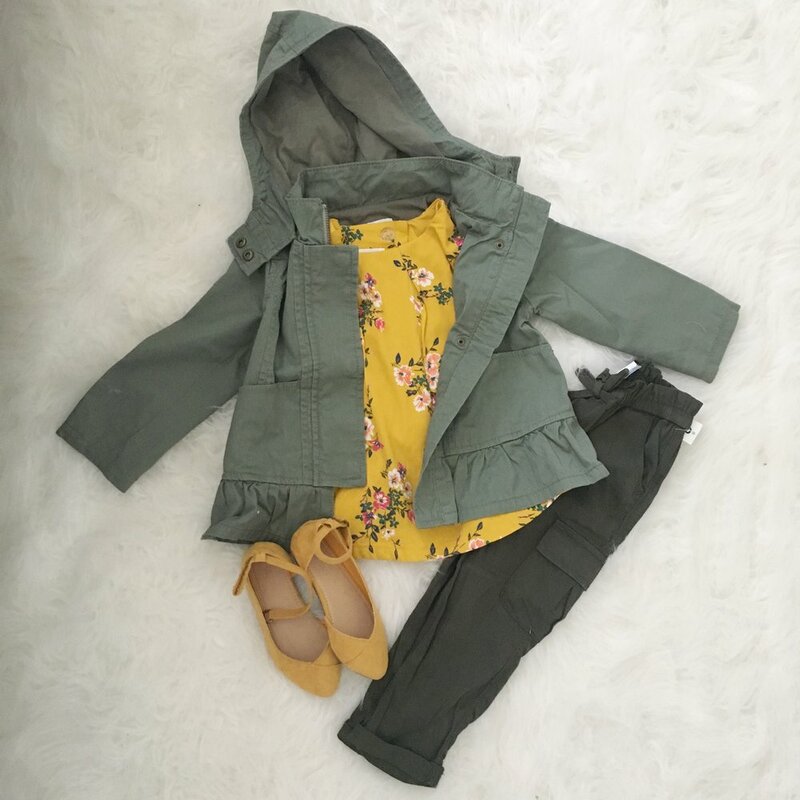 The cutest kid-friendly trends I am noticing for fall are MUSTARD, mustard, and more mustard and utility inspired wear! We definitely went a little mustard crazy--it was easy to do! And I loved the pants and jacket I picked up for Emi with that utility feel. Old Navy and Gap ALWAYS have some sort of promotion going on, so don't pay full price! I'm linking a few of the outfits I put together for Emilia (and a handful for Isla too--couldn't help myself!) below! Happy Back to School Shopping, my friends!